Most of the Internet and affiliate marketers with whom I correspond want to launch their own products eventually… and eventually usually means sooner than later. That's normal progression for any entrepreneur… and that's what I did a few short years after I started affiliate marketing. Unfortunately, there was no formula for success available when I started selling my own product back in 2003, BUT there is for YOU… NOW. Jeff Walker, whom I met in 2005 when he was just starting out, is known (by Forbes Magazine) as the $400 million dollar man (a number that is WAY bigger NOW), for having helped other business owners take in a cool $400 million of their own cash, has designed a course specifically for entrepreneurial folks (like us) who see starting an online business as a serious challenge. He makes it clear that most of the obstacles we see are imaginary challenges. Jeff runs his course, the Product Launch Formula, once a year and it is open for registration right now. NOTE: Registration shuts down this year on Friday, September 25th, 2015 at midnight PST. Honestly, the Product Launch Formula can be a pretty expensive venture for some, but Jeff has a free video training series for you to check out. The free information he gives away in the following videos is just priceless and will change the way you look at marketing online forever. 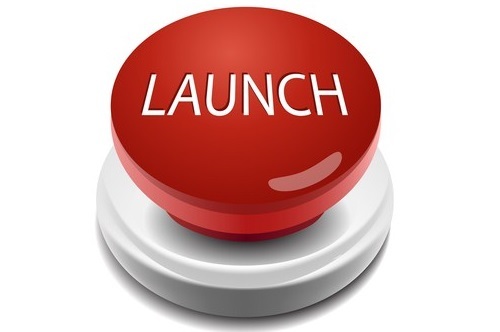 The basic strategy behind every successful launch. How to avoid common mistakes that most start-ups make. If you like what you learn from Jeff's free video series, you can register to take the whole Product Launch Formula course… BUT the free videos are a complete course in themselves and certainly worth watching even if you have no intention to buy. And of course, there is a money-back guarantee for those who decide Jeff's course isn't for them. BUT… Jeff Walker's Product Launch Formula is the best training available for those who want to launch their own online product. Actually, even his sales video has examples of folks who failed the first time trying to launch their own product and then succeeded spectacularly after taking his course. Check it out – you have nothing to lose (other than a world of opportunity if you don't register by Friday). PLEASE NOTE: I have partnered with Jeff and will receive a commission for sales of his Product Launch Formula course, BUT you DON'T have to buy the course. You can watch the videos and learn how to make your next product launch better than you ever dreamed possible. Thank you for your recommendation and honesty. I was exactly thinking about it and searched for it on google, just found this article. You know, I bough your book a while back and now your info keeps pulling me back to your site. Thanks kindly for stopping by to comment and let me know. I’m happy to hear that you appreciate what I share.